Keeping kids eating healthy can be difficult when it comes to providing snacks that are quick and convenient. Now that school has begun, it’s likely your children are coming home excited, tired, and hungry. Kids love coming home to a snack that is already prepared, and it helps them make better food choices. We keep snacks in pre-portioned bags with several options so anyone can go in the fridge, grab a healthy snack, and enjoy. What I like to think about when choosing snacks for our family is: Are they healthy? Will it keep kids and adults full? Here is a recipe for our favorite snack, banana wrap bites. 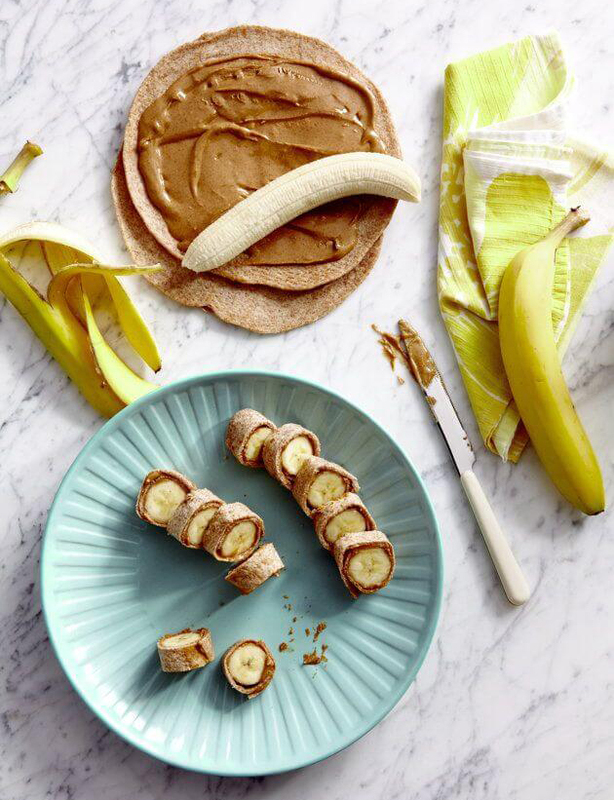 Spread the wrap with peanut butter and then place banana on one end and roll until wrapped completely. Cut into small coins and enjoy. Multi-grain wraps are an excellent source of fiber and protein. Additionally, peanut butter contains fairly-high quantities of dietary fiber, which helps in regulating both blood cholesterol and blood sugar levels. Peanut butter also contains very important micro-nutrients such as Vitamin E, Vitamin B3 and large amounts of beneficial minerals such as iron, magnesium, potassium, copper and calcium. Adding bananas also gives snackers a great source of potassium, an essential mineral for maintaining normal blood pressure and heart function. If you’re not a fan of bananas, here are some other great options for your after school healthy snack drawer that are filling and delicious. Children and adults will love them. 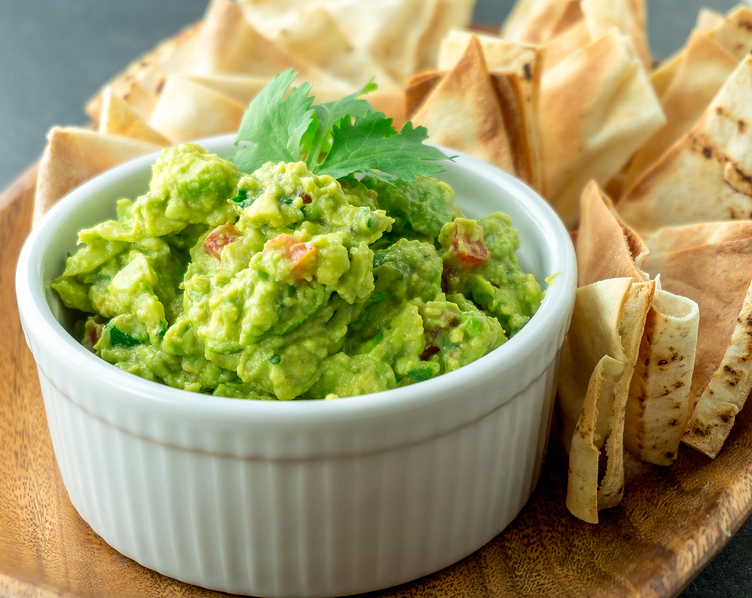 When you purchase guacamole, check around the store for pre-portioned containers or divide a larger container into several small ones. You only need about 2 tablespoons per portion. Want to have apple slices but afraid of them turning brown? Slice them with an apple slicer and then use a rubber band around the pieces to keep them together. It’ll keep your slices from oxidizing and becoming brown. It’s a good idea to prepare all your snacks for the week ahead of time so you don’t have to worry about making snacks throughout the week. Let us know what your child’s favorite is from the list, or if you have any other healthy ideas that work for your family. 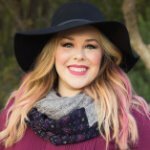 Stephanie Wolfe is a healthy living and essential oil educator who loves blogging about her medically fragile daughter, her natural lifestyle, Young Living essential oils, and fun weekend activities with her husband, daughter, and friends. Follow her at @mathewsbambina on Instagram or The Vintage Modern Wife on Facebook.